5 ways to modernize your IT service operation. 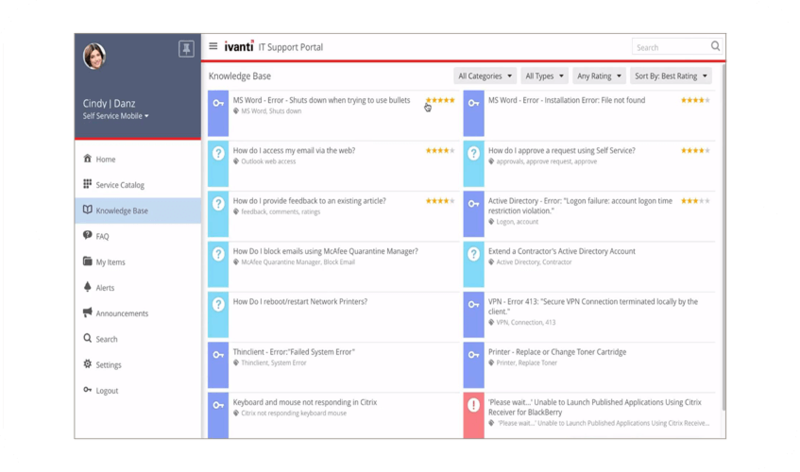 Ivanti Service Manager enables you to gather, analyze, store, and share knowledge and information for both the IT service desk and users. Provide automated knowledge matching to create incidents and assist in resolving any previously known problems. Users can provide feedback on articles, and full knowledge article approval workflows are built in. Knowledge is a lifelong endeavor.